Probably the most common question asked when homeowners are considering redoing a bathroom is, “How long will it take?” Although we wish we could complete a project for our clients with a wave of the magic TV wand, most bathroom renovations takes an average of four weeks. 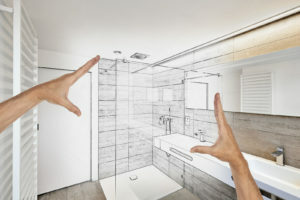 But the temporary inconvenience is soon forgotten when you see the results of a quality bathroom renovation by KBC Remodeling Services of Longmont. Don’t DIY Tile– One crooked tile or uneven grout line can throw off the entire pattern and be a persistent eyesore. A professional tiler is worth the extra expense to ensure that the layout and grouting will be perfect. They also can complete the project much faster than untrained homeowners, and use epoxy instead of cement-based grout for a longer-lasting finish. Trying to save a little upfront can lead to big problems in the future if the tiling job is not watertight. Less Can Cost More– Contrary to popular belief, minimalism can be very expensive. The planning and precise designing required to achieve clean, sleek lines does not come cheap. If you want no grout lines, seams or handles then be prepared for huge, expensive tiles, buying an oversized slab and custom cabinetry that requires specialized latches. This simple aesthetic is anything but simple to design and install! Highlight One Feature– There is no need to upgrade every feature and if your renovation budget is tight, then deciding on one wow element can save thousands on other economical choices. Some suggestions are oversized handles for interest or a huge pendant light to draw the eye up to high ceilings. Now that you’re armed with the above insider knowledge, the design process and construction phase will go smoother. 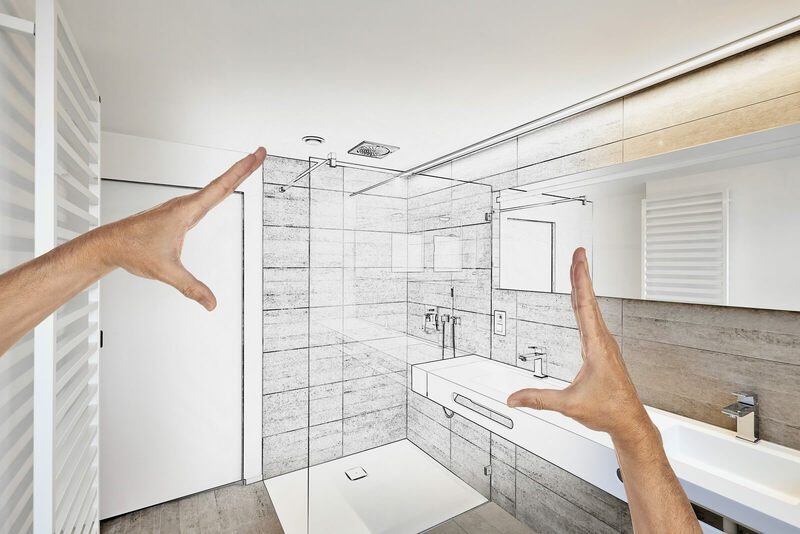 Whether you’d like to remodel a powder room or your master bath, the design experts and experienced contractors of KBC Remodeling Services in Longmont will produce a stunning bathroom renovation!